Straight from your mother's pattern book, this dress is simple elegance. The scalloped overlay has the appearance of a duster or a sleeveless coat over an a-line dress. It is actually a self-lined panel joined to the dress at the sides and shoulders. There are several ways the dress can be completed including buttons sewn in the curves of the scallops, a chain draped from one side to the other, or no embellishment at all. 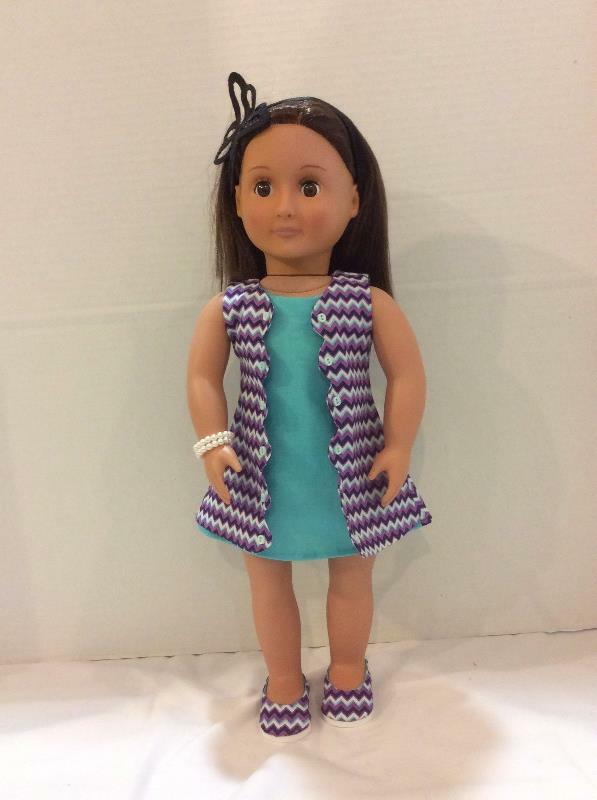 This instant download, PDF pattern is designed to fit 18" dolls such as American Girl®. This dress is very easy and quick to make. 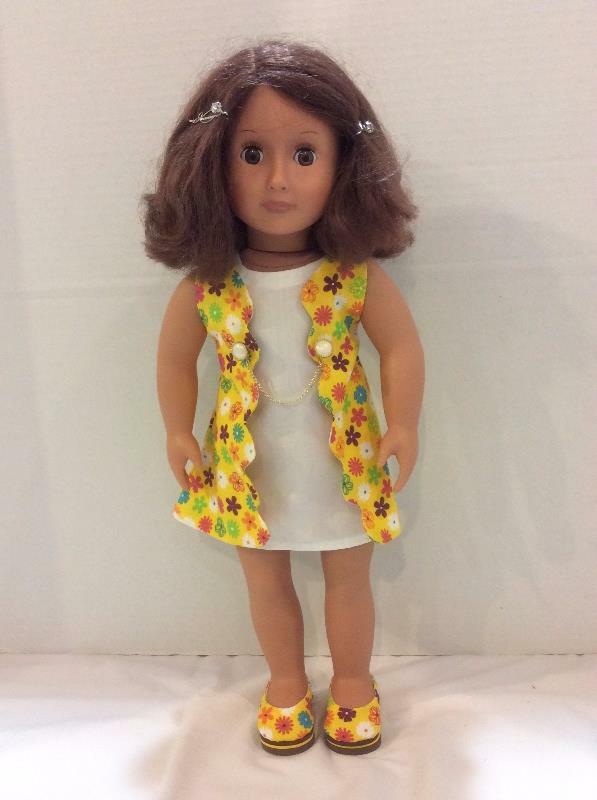 I've made several for my grandaughter's dolls, She's 5 years old and wants one for herself (so that she can be dressed like her children). Love the dress. Works up quickly have made 8 since purchusing it 2 weeks ago. Love how you can use the contrasting colors. I took me a while to finish this dress but overall it was an easy pattern to follow. I feel that the next time I make the outfit I will need to cut the pattern a little larger as it was a bit snug on the doll. But other than that I really like the look of the dress. 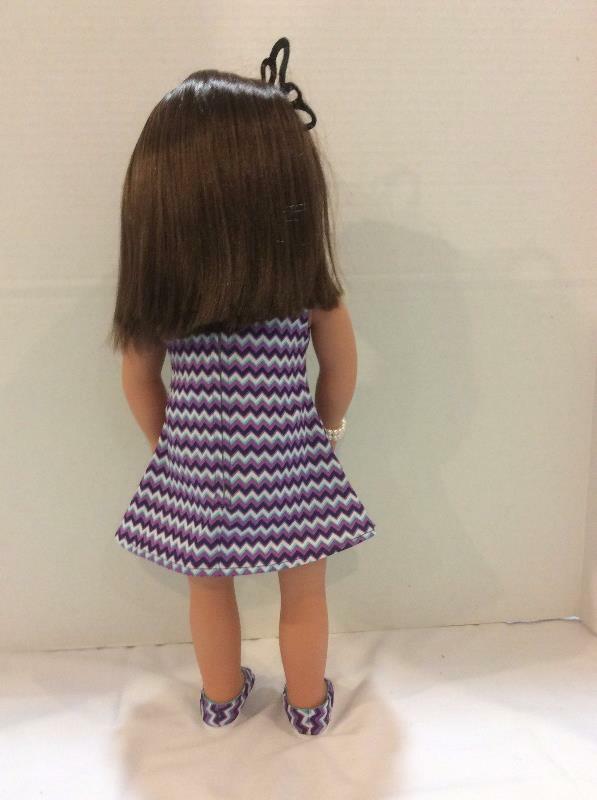 This dress is so cute and fits the dolls perfectly. The scallops are not difficult; go slowly. I am so happy with the look that I plan to make some more. You won't disappointed.